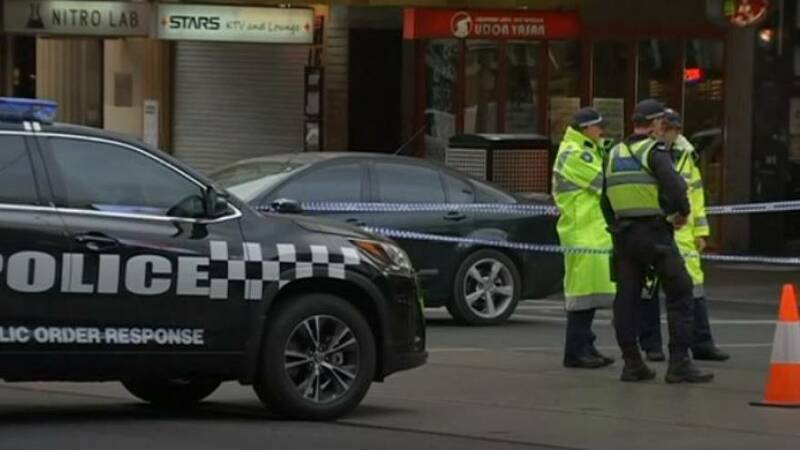 Several people have been stabbed in Melbourne in an incident that is being treated as a terror attack, according to Graham Ashton of the Victoria police. The suspect, who is of Somali origin, was "someone that is known" to both local police and federal intelligence, "mainly in respect to relatives" who are "certain persons of interest to us". Local media had named the man, but police did not confirm his identity. Victoria Police Commissioner Graham Ashton said in a television interview that the man's brother was arrested last year on charges of planning an attack in Melbourne and is in jail awaiting trial. "He is certainly someone who is known to both us and the federal authorities in relation to counter-terrorism and terrorism-related matters," he told Channel 7's Sunrise program. "He is the brother of an offender or a suspect that we arrested late last year in relation to the preparation of a terrorist event." So-called Islamic State later claimed responsibility for the attack. The man, who was shot in the chest by police has died in hospital, police have said. Ashton added that Counter Terrorism Command will investigate alongside Victoria police. He also said police don't think there's any "ongoing threat" to the public. Merclesden Apples Cider Trails (@merclesden) on Instagram recorded the following video of the flames from the assailant's car. The user, Fletcher Farrington, told Euronews he "didn’t realise the extent of the incident at the time." He was standing at a tram stop about 30-metres away and "was looking at the car then saw it explode and someone get out. The car started to roll down the road and people started to run towards me." Farrington then moved to a safe distance.